Putting green space on the map. True Technical’s latest App Development project is live. 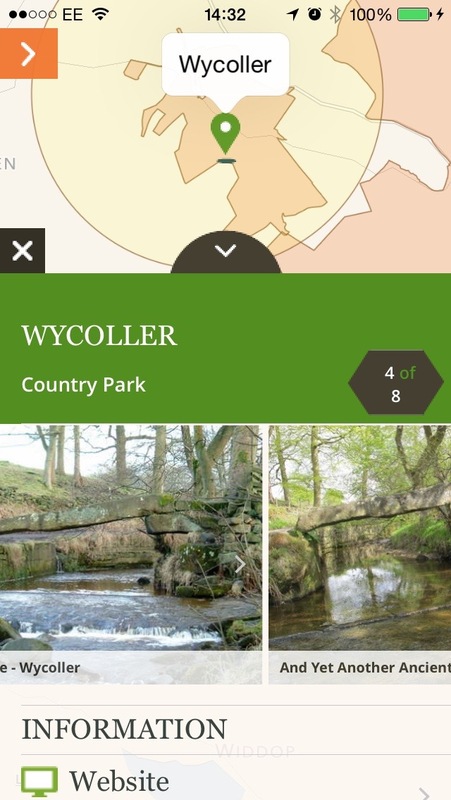 This innovative iOS App will be the first time users can search and discover the wonderful and diverse range of England’s 8000+ accessible green spaces all in one App – ranging from Local Nature Reserves through to Areas of Outstanding Natural Beauty. Plants and animals that you may see on these sites are highlighted as are suggested walks and local pubs/cafes for post walk refreshment. 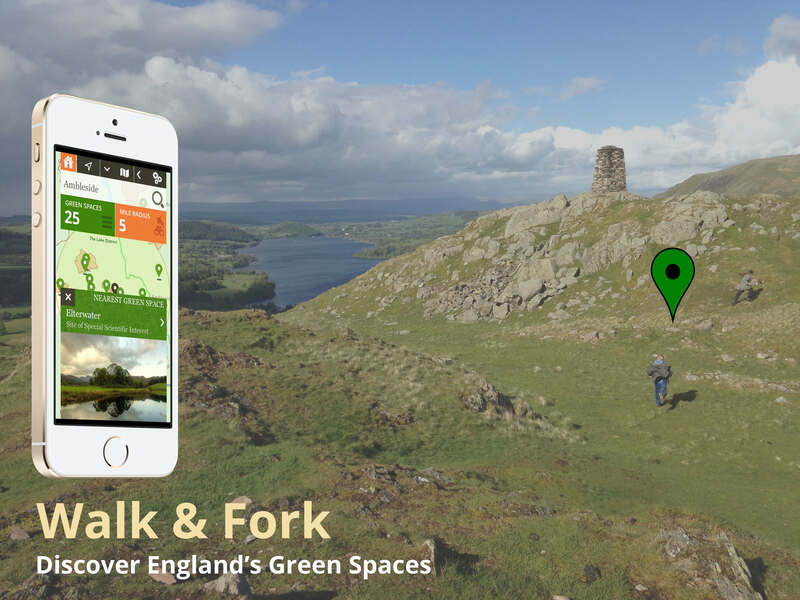 This native iOS App runs on both iPhone and iPad and is built on a code base which allows for the rapid development of spin-out apps based on any green space data and associated content. 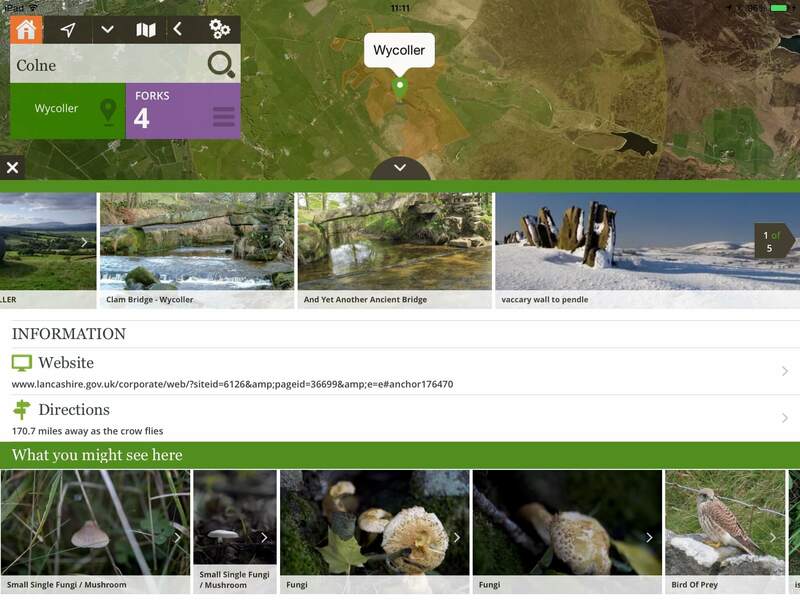 The App displays the boundary of each space, taps into rich imagery from Google’s Panoramio service and has a tie-in with The Open University’s iSpot platform to display wildlife which has been observed in a particular green space. Users can also select a nearby walk and see detailed pub or restaurant recommendations via Google’s places service. The user experience philosophy is akin to the Google Maps App where the focus is always on the map - the content or walking routes are laid over the map surface. I believe that this approach gives the user the experience they have come to expect on a modern Apple device. 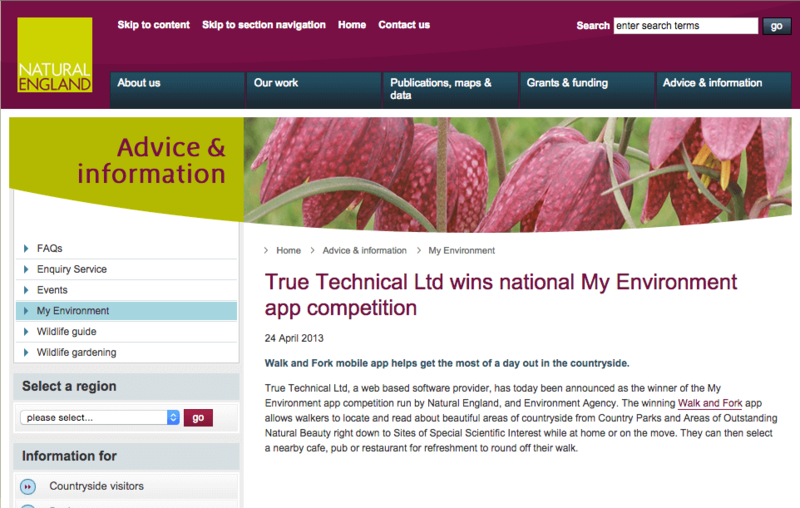 Walk & Fork won first prize in a national My Environment App competition run by Natural England, The Environment Agency, Defra and Arup.